There are advantages to choosing a guided dune buggy tour, regardless of your experience level. The idea of setting off for a solo desert adventure may seem romantic, but guided tours have a lot to offer. Here are a few of the reasons why you’ll want to choose a guided tour when riding a buggy in Dubai. When you choose a guided tour, you are provided with everything you need for your adventure. You’ll be provided with everything you need for riding a buggy in Dubai. This includes safety equipment like gloves and helmets, as well as other gear that is available if you choose. You’ll be provided with other essentials as well. Dune bashing works up quite an appetite, but guided tours will offer you water for your journey and a meal before or after. You’ll also be provided with washroom facilities and other modern facilities at the campsite. A guided tour is perfect for beginners. Your guide will give you tips on navigating the dunes, and you’ll be dune bashing in no time. It’s important to understand that sand is different than other driving surfaces. Even if you are an experienced off roader, if this is your first time on sand, be prepared for a learning curve. Having a guide to help you get acclimated to driving on sand will make your experience much more enjoyable. Heading out into the desert can also be an intimidating experience, particularly if you are used to being close to civilization. A guide lets you relax a bit, knowing that the guide knows where you are going, and how to get back. One of the best parts of choosing a guided tour is the guides know all the best places. They know where to find the most breathtaking vistas. Beautiful red sand dunes. Places that few people ever get to see. Sure you could set off on your own and hope to stumble across some of them, but why not ensure that you see the most beautiful places? 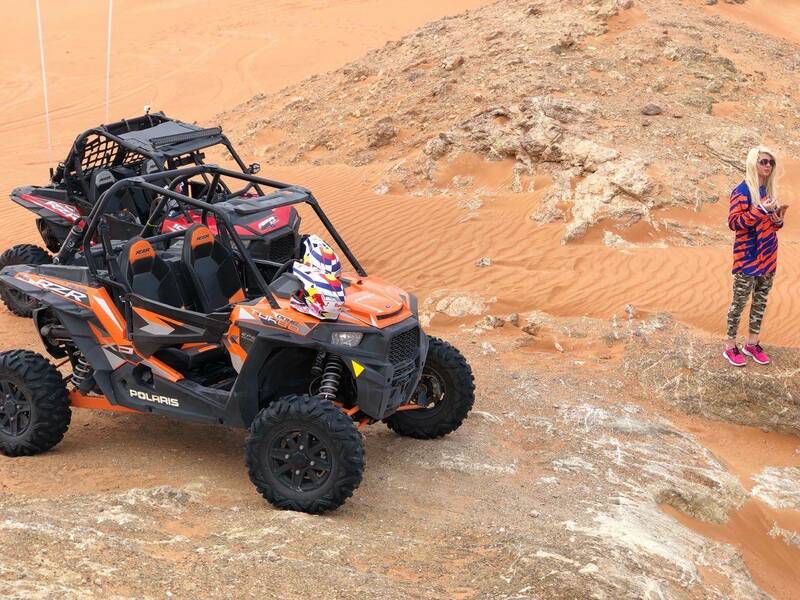 Dune buggies are designed to be as safe as possible. However, like any motorized vehicle, there are risks involved. Safety features like roll cages and seat belts provide invaluable protection. However,there are other safety concerns to consider as well. If you happen to become sick or are otherwise unable to continue for any reason, you want someone there who can bring you back safely. Its also possible to get stuck in the sand. Having a guide ensure that you have skillful help to get your dune buggy unstuck and continue your adventure. Do you want a relaxing ride through the desert? Watching the sun fall below the dunes? Do you want an action packed ride that challenges you and gets your adrenaline pumping? Experienced riders can benefit from a guide as much as beginners in this area. 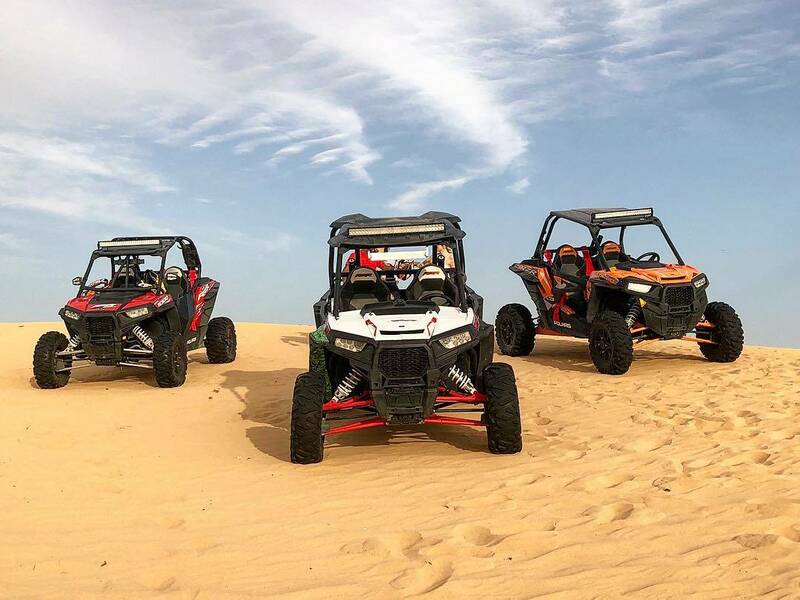 If you want a truly thrilling ride that involves high speeds and climbing steep dunes, your guide will know which areas are best suited for that. No matter what type of ride you desire, a guide can ensure that you get the type of experience you want. They are also familiar with which areas are suited for different experience levels. This allows you to have the most enjoyable and safest experience. In addition to thrilling rides and breathtaking view, a guided dune buggy tour gives you an opportunity to learn about local history. It’s an amazing opportunity to learn about local culture, and what life in the desert is like. The tour guides are locals, and they are happy to share their culture and history. This makes these tours educational in addition to being exciting. A guided dune buggy tour is a great way to experience parts of Dubai that most tourists will never see. Your ride can be as relaxing or exciting as you desire, and the well trained guides make things safe and fun.